If you are a fan of Big Brother and love bingo you really are going to dig this brand new site called Big Brother Bingo which will be going live on the net very soon. 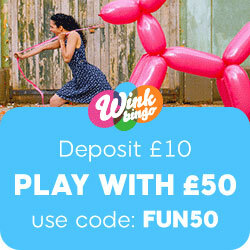 Big Brother Bingo are now ready and waiting in the wings to bring you another top notch site from the joy of bingo group, the people behind one of the current most popular UK sites – Wink Bingo. You will not have long to wait now to test out the Big Brother Bingo wares as they are due to join the online scene sometime next week, so keep a look out for them being fully functional. Like all their sister sites, Big Brother Bingo will launch on globalcom bingo software and they will also be on a standalone footing, so not networked by any shape or means – well we have enough globalcom networked sites already and another one really would not be a good thing for anyone – the industry, you or us. Big Brother Bingo will be kicking things off by handing out a 200% welcome bonus on your first deposit made and this offer will be valid on any amount between £5 and £100. They will also go on to dish out a 50% bonus on all subsequent deposits thereafter. BBB like their namesake also aim to keep you full up to date with all the latest Big Brother action and the current celebrity BB has defiantly got tongues wagging. The will also have exclusive BB prizes up for grabs like VIP tickets to a Big Brother eviction night, which will include backstage passes – and this is sure to give you some behind the scenes tip bits. You will find traditional 90 ball, 75 ball and 5 line multi bingo to play and we are sure they will also launch with some super treat promotions as well. BBB is set to suit all playing tastes as they will be running free bingo games and their ticket prices will start from just 1p. They have lined up some super guaranteed jackpots as well, but as to exactly what these will entail, we will just have to wait and see. This entry was posted in Bingo Blog and tagged Big Brother Bingo, Wink Bingo on January 12, 2012 by Emma.